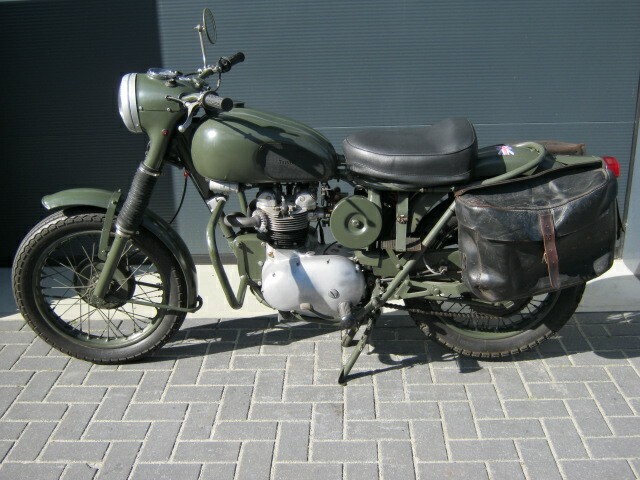 Proper looking ex-Dutch army Triumph 3TA. 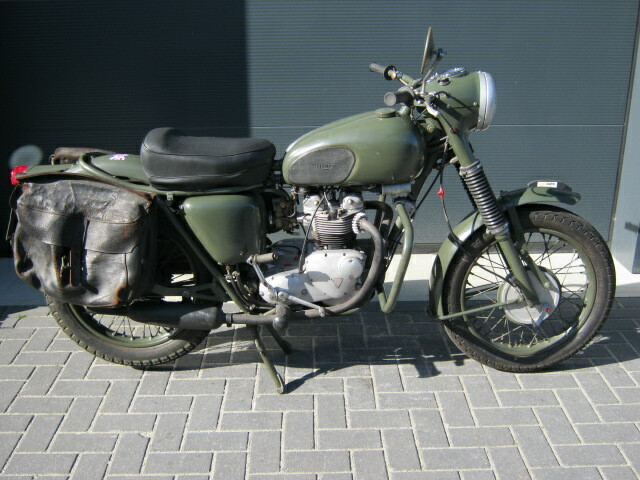 Incl original leather bags and Solex carb. Last owner invested a lot in this bike. A.o. new front fork inner legs and partially rebuilt engine. Non matching numbers but Dutch registration.